Northern Michigan has a highly variable climate by season, with snowy winters and moderate summers, as well as distinct spring and fall seasons. For agricultural purposes, northern Michigan includes the uppermost part of the Lower Peninsula of Michigan as well as most of the Upper Peninsula. Appropriate crops depend on your local microclimate, as some areas of northern Michigan are great for cherries and corn, while others produce apples, potatoes or blueberries better. Generally, northern Michigan gardeners and farmers work within USDA cold hardiness zones 3 to 5. See the zone map in the Resources section to be sure which zone you are in. When choosing vegetable crops in northern Michigan, getting a head start on the short growing season is very important. Plan to plant a cool-season crop and a warm-season crop. Cool season vegetables can be started outside in April, even before the last frost date. Often, you’ll want to start them from seed indoors if you aren’t planting on a very large scale. These include root vegetables that are protected underground, like carrots, beets, potatoes, rutabagas, onions, garlic, radishes and turnips. Other cool-season veggies include early cabbages, kale, spinach, collards and peas. Warm-season vegetables shouldn’t be started outdoors until late May, after all danger of frost is past. Try to choose short-season crops like greens or cole plants. Good choices in northern Michigan include cabbages, broccoli, cauliflower and asparagus. You can add another potato planting if you want more variety in your potatoes, since many varieties will mature in 90 days or so. Plant beans in May; bush beans have shorter harvesting times and will give you some more leeway if frosts arrive early, but short-season pole beans can be grown too. Tomatoes are a warm-season crop that should be started indoors and set out at the end of May. 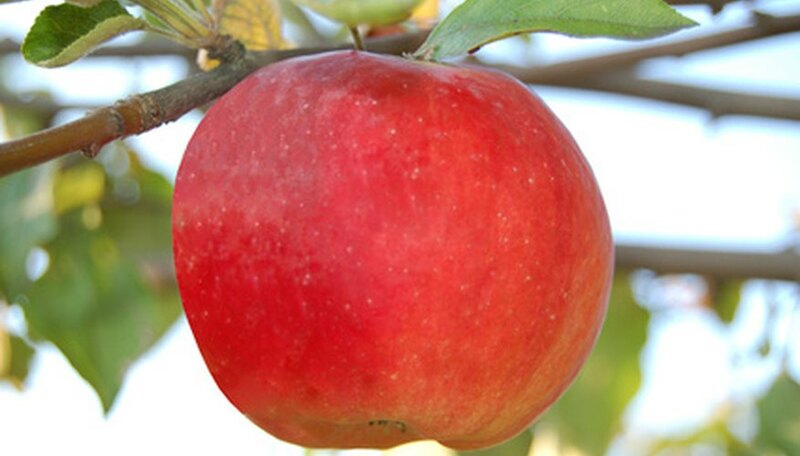 Tree fruits like cherries, apples and pears can be grown in northern Michigan, with some apple varieties succeeding beautifully even at the very tip of the Keweenaw Peninsula. These trees have good cold hardiness, but won’t produce reliable yields for several years if you plant them new from seedlings or seeds. Other fruits that do well in northern Michigan are bramble berries, cranberries and lowbush blueberries. Bramble berries include blackberries, raspberries and currants. Quick-growing strawberries also are a successful crop. Barley, corn and oats will grow in northern Michigan as long as the growing season allows it. Check your local planting dates each year to be sure you can plant these grain crops. Barley and oats have a shorter maturation period than corn does, so they can be grown more successfully in Upper Peninsula summers. If you are planting corn, wait until the end of May, as it is easily damaged by frost. Soybeans also can be grown but shouldn’t be planted until late May. Hay and alfalfa are popular forage crops for the considerable dairy production in some areas of northern Michigan as well.